The wheelie that turns everyone into an expert. Hands up those who thought a wheelie was just a wheelie, grab enough throttle and up she comes. Easy mistake to make, but in fact there are three kinds of wheelies to learn and enjoy: the balance wheelie, the power wheelie and the clutch wheelie. Of the three the first two are done more for fun than effect, but I will cover them in a future Trail Skills because they are so much fun and all skills are valuable for practice at least. 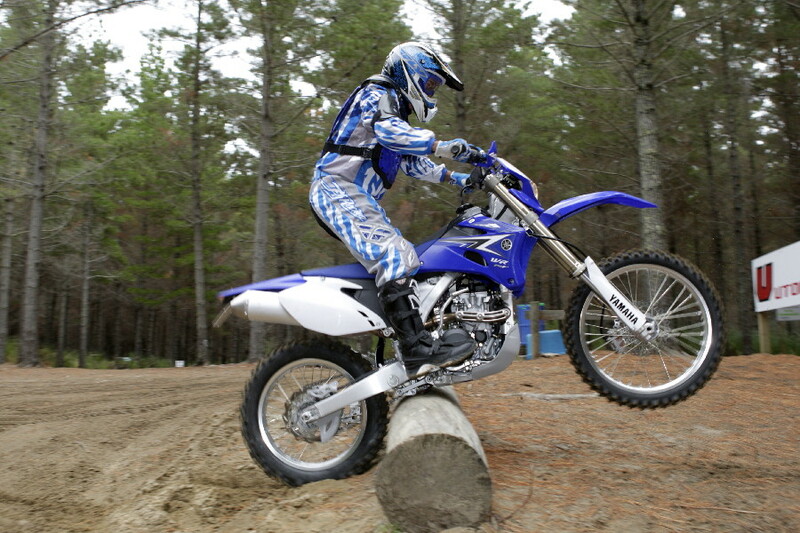 The balance wheelie, though difficult to perfect and very nice to watch, has little relevance for trail riders. 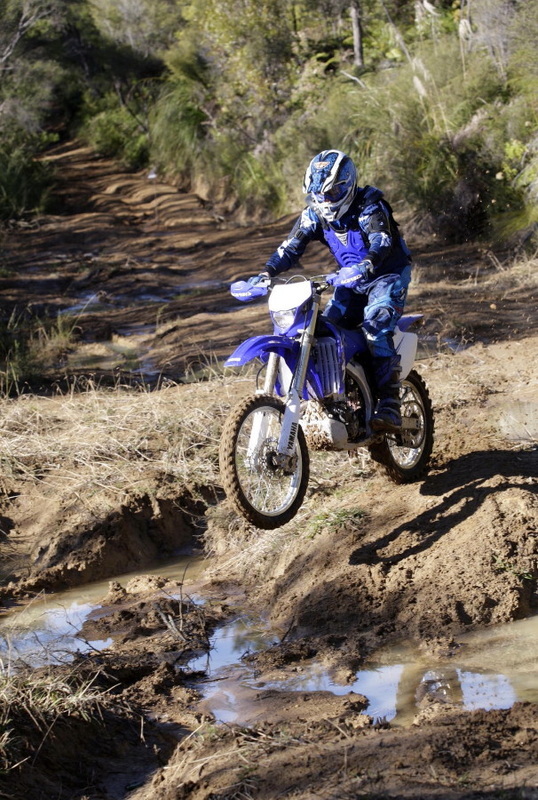 It involves getting the bike near vertical on the point of balance over the rear wheel on smooth ground. Once you have the skills it’s theoretically possible to maintain this wheelie without increasing speed. If your bikes’ powerful enough you can power wheelie merely by accelerating and applying more and more power, until at some stage, when all the signs of the planets are in alignment, the front wheel will lift. This wheelie is seen to best advantage in the car park of a trail ride where it can impress teenage girls to the point of hysteria – don’t sneer, this trick may come in useful someday. The problem with the power wheelie is that though it looks starry, it is an imprecise tool and not much use as a means of getting over trail obstacles. This is because, by the time the engine has picked up power and lifted the front wheel it may be too late, or too early, to be of much good. The nature of the power wheelie means that you pick up significant speed while performing it. The amount of speed you pick up may mean you crash spectacularly over the obstacle, or just as easily fall short and crash spectacularly into the obstacle. For real control you need to learn how to do a clutch wheelie that will allow you to lift the front wheel instantly, without gaining much speed. Here's how you perform it. Stationary clutch wheelie. Great skill building and a good way to turn right around in a tight situation. This trick used to be called the round -the - corner wheelie and is usually done sitting on the rear of the seat, or with one foot on the ground and the other foot ready to weight a footpeg. Using first gear and low engine revs, clutch and rev the engine quickly to lift the front wheel while lifting up and back on the bars. Be ready to disengage the clutch to stop the bike looping out. Concentrate on a quick movement that lifts the front wheel with minimal forward creep. Shadow the rear brake pedal with your right foot if possible as a tap on the brake can be used for added control. Practise this in your driveway. Slow speed clutch wheelie. Get up on the pegs, with knees slightly bent and weight centered on the bike. Use first and second gear with low engine revs, applying the rear brake to control your speed. Flex your legs and thighs strongly down on the pegs to compress the suspension. At the same time pull back on the bars and apply throttle while clutching the engine. The combination of suspension rebound, rearward weight transfer and power application will quickly lift the front wheel. A tap on the rear brake should bring the front wheel back down if you overdo it. 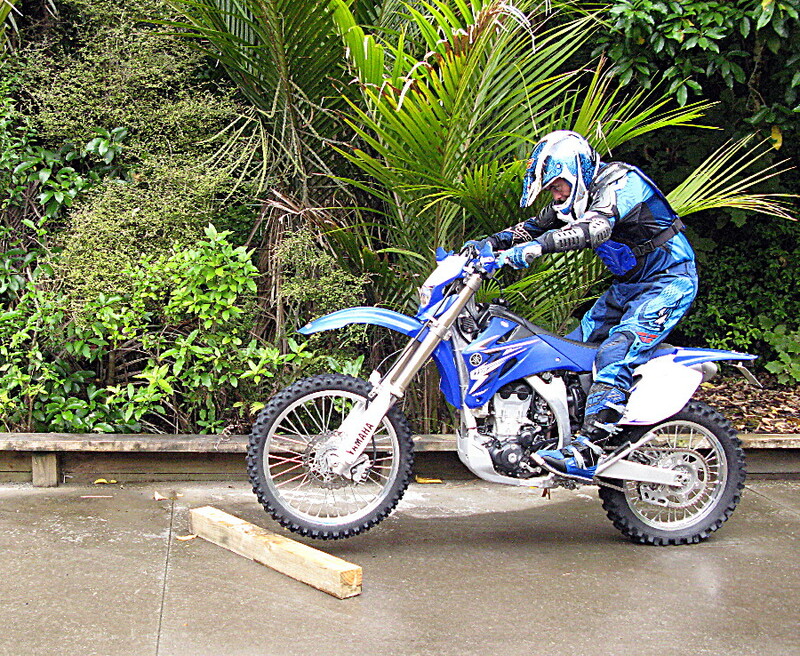 Practice this technique first using a line marked on gently sloping uphill ground, concentrating on getting the timing of the clutch wheelie over the marked spot Later introduce some obstacles like a 100x100 post to extend your control. When you master this try doing it downhill, remembering to control speed with your rear brake. High speed clutch wheelie: Virtually the same manoeuvre done at greater speed, perhaps in higher gears, more typically to cross puddles, mud holes, drains and swamps that require lots of momentum and where a slow and cautious approach may only result in getting bogged early (I will leave you to make that call). As with every obstacle the rider must judge the best speed for the job but in this case we will be using second or third gears, typically with more revs to get the engine in the middle of its best torque range. Practice this at first on smooth uphill sloping ground at moderate speeds and engine revs in second and third gear. In real situations clutch wheeling into boggy ground and swamps means the drag of the mud is likely to bring your front wheel earthwards in a hurry so be prepared to keep applying power to keep the front wheel at least somewhere near surface level. 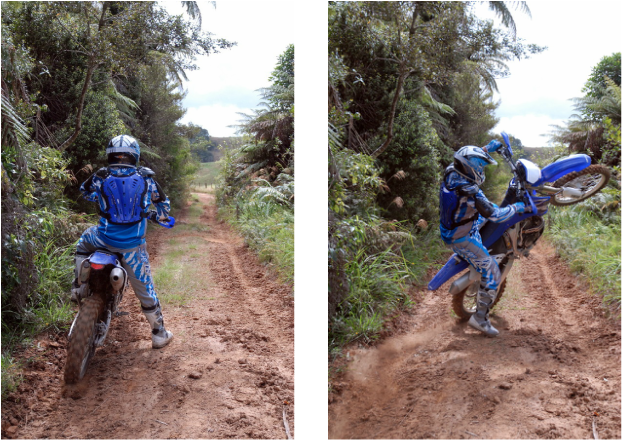 Like all advanced trail riding techniques the clutch wheelie is something you need to practice and practice until it becomes a reflex action, despite the obvious steep and potentially painful learning curve it may present. At first you are likely to be tentative and struggle to get the wheel up quickly enough. Typically there will also come a time when you overdo it and all you will be able to see is sky, so practice that rear brake stab, it can bring back even the most desperate situations.